We may not be getting another Blade Runner movie anytime soon, but we will be returning to the world of replicants in the form of an anime series in the near future. No release date yet, but when it airs, the English-dubbed version will be on Adult Swim and the English-subbed version on Crunchyroll. 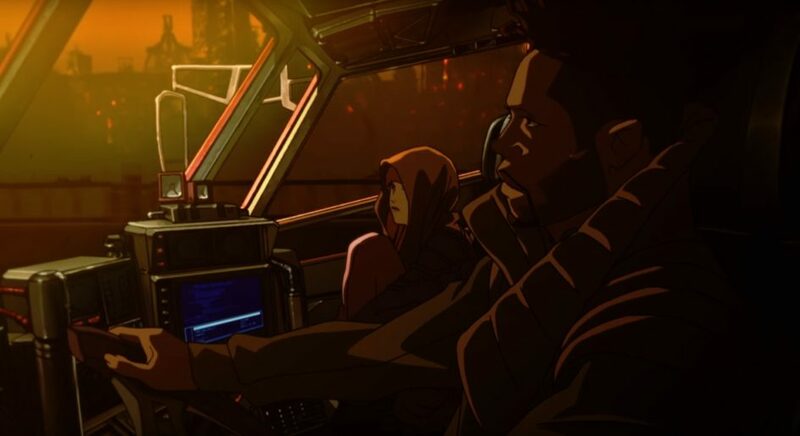 The series creative producer will be Shinichiro Watanabe (Cowboy Bebop, Samurai Champloo), who directed the anime short Blade Runner Black Out 2022. The upcoming anime series, Blade Runner: Black Lotus, will take place in 2032. Personally, I think it’s unfortunate that it’s not set after the live-action movie with Ryan Gosling, Blade Runner 2049. I remember watching that movie and being disappointed that it just kind of ended. I felt there were still questions to be answered and so much to be explored. Most of my questions revolve around Jared Leto’s character, Niander Wallace — CEO of the Wallace Corporation — who is also featured in the live-action short Blade Runner 2036: Nexus Dawn. A series set after Blade Runner 2049 might better expand on Wallace’s fascination for creating artificial life (A.I. ), his motivations and why he’s inclined to speak in religious metaphors. Wallace is a weird guy and the movie only scratched the surface of this antagonist’s eccentricities. The upcoming anime series is going to be 13 episodes long, half an hour each. That kind of run time could afford to delve deeper into Wallace’s character than the movie ever could. It’s not just Wallace’s character that a sequel could explore. What’s Ryan Gosling’s character to do after the events of Blade Runner 2049? What about the freedom movement? What’s next for Harrison Ford’s character and his child? Even though the anime will be a prequel, here’s hoping that the series can set up both Gosling and Ford in a recording booth. Producers have confirmed that the series will include some familiar characters. Although we don’t yet know who they will be, it’s not like there were a lot of major characters left alive after the first film. Although familiar characters may make cameos, it’s entirely possible that the anime might follow entirely new characters… or entirely new locations. The “off-world colonies” are often mentioned, but what are they like? Is Mars like Total Recall? Are the colonies like those in the Alien franchise? The Total Recall 2070 series is said to have more in common with Blade Runner than the Schwarzenegger movie and we’ve seen the Alien movies feature human robots. A movie that was confirmed to be set in the same universe is Soldier. I hardly remember the 1998 movie with Kurt Russell, but I remember it painted a pretty bleak version of things off-world. Still, that’s only one world, one colony. I wouldn’t mind seeing how things are on other worlds. I also wouldn’t mind seeing how things are in the rest of our world. Much like the Netflix series Altered Carbon, the events of Blade Runner are primarily set (with a quick trip to the wasteland of Las Vegas) on the west coast of the United States — what about the rest of the country? What about the rest of the world? By the by, an anime companion season for Altered Carbon was announced by Netflix in November. It seems that viewers are hungry for sci-fi noir. Now that Fox properties like Alien are going to Disney, maybe Warner Bros. can lure Ridley Scott back to make another Blade Runner movie. But until that happens, we’ll have to look forward to the anime series to expand the Blade Runner Universe.